A Resort Hotel builded on a territory of 1.410.000 m2 as a single Main Building direct at the Beach, located behind 2 Professional Golf Courses with 426 Rooms with a Sea view ratio of 86% on 6 floors. Partial view to the Golf Course and Land side. Private beach with Blue Flag is directly in front of the Hotel building (Sand surface with length of 220 m). 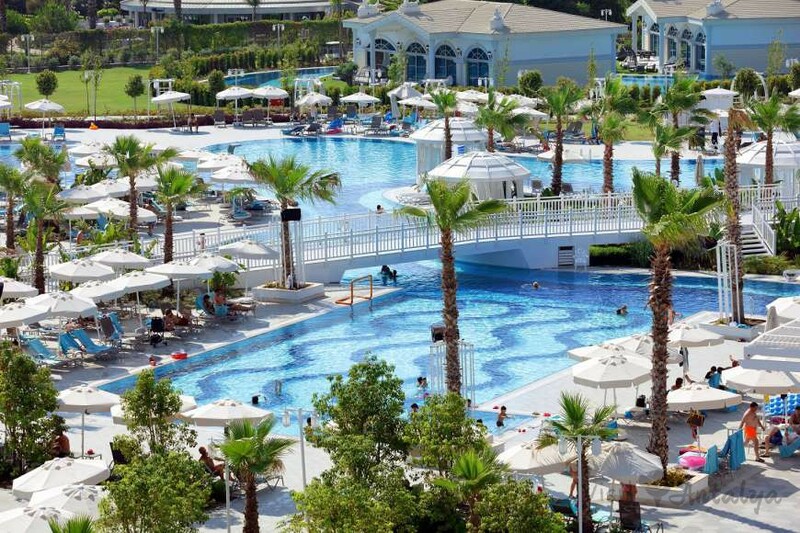 Port/Pier (from 10 May), Beach Pavillon, Chaise lounge, sunbeds and umbrellas are available for Guests. *Welcome and farewell of Guests with several Snacks and beverages. *Welcome of guest with hot or cold towels (according to the season). *Personel accompanying for VIP’s and Guests from Villas to the room. *Providing all the neccessary informations for 24 hours by the hotel staff. *Providing drinks to adults and children during the check-in. *Butler’s service at some special room types. *Private check-in desk for children (in the Mini Club). *Indoor and Outdoor Parking for Free with Valet parking service. *Reservation priority at the Main Restaurant for handicapped guests. Sueno Golf Club is a classical golf club that attracts attention of both local and foreign golf lovers with its rapid rise in the golf world. 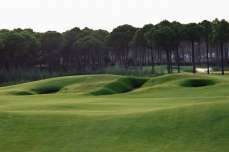 Thanks to the temperate climate of Antalya, Belek region that became a golf paradise, the club can offer unique hospitality to guests and local, national and international tournaments throughout a long golf season. Kaya Palazzo Golf Club is an indispensable facility for golf enthusiasts. Located in a special pine covered heaven and with the luxurious VIP hotel and villas( under construction )in the middle of golf courses, Kaya Palazzo Golf Club is the favourite destination for those looking for a peaceful holiday. Prices are Deluxe All inclusive and Land View roooms.